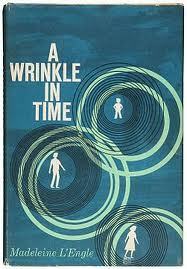 A Wrinkle in Time was one of my favorite young adult reads, a fact I have noted in earlier blogs. I discovered my hardcover copy under the Christmas tree, and although I finished reading the book that same day, I spent wonderful hours rereading the story of Meg Murray, her “boyfriend” Calvin, and her younger brilliant brother Charles Wallace who “tesser” to the planet Camazotz to save Meg’s father. I loved the story. But I have never confessed publicly how on one occasion twenty years ago, my love for the book completely undermined my sensibilities. In 1991, a local bookstore advertised that they would host authors for book signings. To my great joy, one of the authors invited was Madeline L’Engle. I was delighted; my favorite YA literature author was coming to a local bookstore! 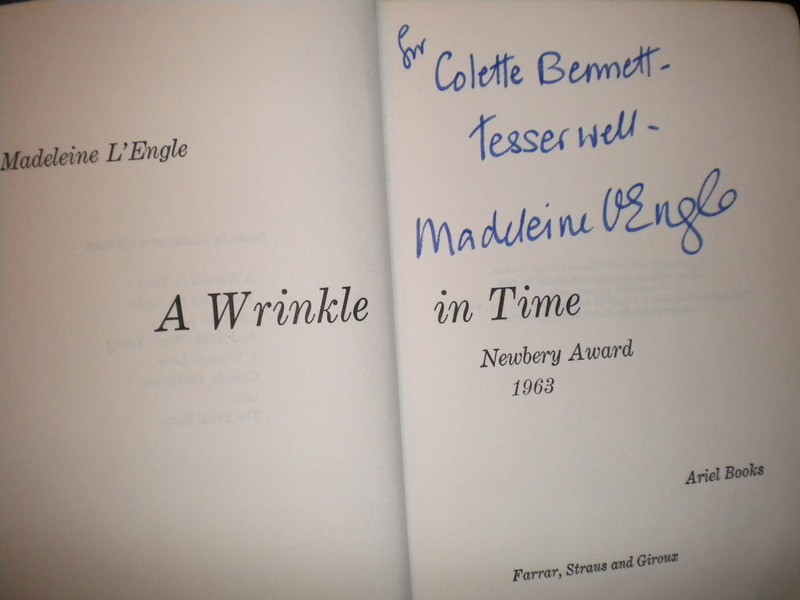 I immediately called my mother in Boise, Idaho, to see if she could locate my childhood copy of A Wrinkle in Time and mail it to me so that I could have the book signed? She spent several hours looking through boxes of books that had been shipped from Connecticut two years earlier when the family relocated to Boise. Once she located the book, she called to tell me that my copy was really in a very worn condition. “I’m not sure that the author is going to want to see how badly you treated this book,” she chuckled. She mailed the book back to me. The day before the author visit, I was suddenly seized with the notion that reservation were required for the event. I panicked. Did I miss something in the notice? I quickly called the bookstore to make sure I would not be shut out of this event. “Oh, I am so sorry to tell you that Ms. L’Engle will not be coming,” said the voice at the end of the phone. “What? Why not?” I was immediately upset. Ms. L’Engle was not coming? I would not get my book signed? I had the book! I had the book sent from Boise, Idaho! WAIT! What was I saying?? My favorite author was nearly killed, and I was still worried about having a book signed? Where was my sense of compassion? I hung up quickly, lest the call be traced back to me. I was terribly disappointed, but I became increasingly distressed about my reaction. I could not believe how selfish and clueless I must have sounded on the phone. My mother called later that week. “Well, what did the author say about your copy of the book?” she asked. I had to confess my inappropriate behavior to my mother… to my mother, for goodness sakes! She offered her sympathy for Ms. L’Engle, scolded my lack of compassion, and reminded me to take better care of my books. Several months later, as an anniversary gift, my husband sent my copy to Ms. L’Engle, who was still recuperating, to have the book signed. I never did meet her. I hope the condition of my copy showed how much I cared. Currently reading the rest of the quintet… that I didn’t know existed… Wrinkle In Time is still the summit.